I hope you enjoyed this point of view… Some might say it’s pretty narrow. Every Christmas season the desire to “do good” abounds most every where; someone wants to see a smile on the face of a child or a family receive a gift of hope. Even the “grinchiest” of Grinch’s find their heart enlarged when they discover “that Good Thing.” And then there are those who continue to walk in blind rebellion and refuse to discover that “Good Thing” but would rather believe it is they that are good. My heart is saddened and I fear for those who created the Christmas campaign for Atheists, spending thousands of dollars (if not millions, I really have no idea) to convince the world that Christ is a myth and “reason” not “The Reason” of Christmas should be celebrated. It is my prayer that actress Julia Sweeney who arrogantly and using the name of God in vain, proclaimed on a billboard in Times Square of New York City that “There is no God,” will discover the goodness of God before she finds herself kneeling before the One she said did not exist. It is only the goodness of God that allows us to breathe one more breath and that God does not annihilate us from the face of the earth when yet another billboard taunts our faith with the remark “8712 inches per hour = nonsense, what other biblical nonsense is there?” referring to the rain in Noah’s day. It’s a good thing God is good, else the first bucket of the next load would be dumped on their house with no ark in sight. That is why we read in Matthew 19:16-17 ~ “And, behold, one came and said unto him, Good Master, what good thing shall I do, that I may have eternal life? And he said unto him, Why callest thou me good? there is none good but one, that is, God: but if thou wilt enter into life, keep the commandments.” With the arrogance and ignorance of mankind there would be no hope of Heaven without the goodness of God Who knows us, and loves us anyway. He, Who from the beginning of time knew of our weakness to keep the law and made a means for redemption which was that “Good Thing” prophesied in Jeremiah 33:14 ~ Behold, the days come, saith the Lord, that I will perform that good thing which I have promised unto the house of Israel and to the house of Judah. That Good Thing promised was the Messiah! The same Who now dwells within the child of God and as Paul reminded Timothy in 2 Timothy 1:13-14 when he said ~ Hold fast the form of sound words, which thou hast heard of me, in faith and love which is in Christ Jesus. That good thing which was committed unto thee keep by the Holy Ghost which dwelleth in us. Paul knew how hard it would be to keep hold of sound doctrine in a world that is anything but good. They may not have had billboards in biblical times but they had their version of Julia Sweeney. 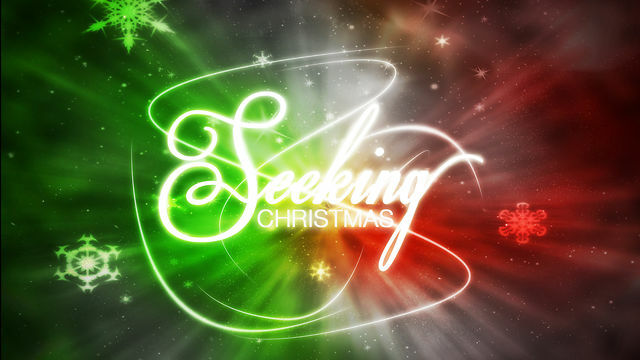 I’m so thankful this Christmas for saints of God who risk and give their lives to share the gospel of that Good Thing. Hallelujah for that Good Thing that have to look forward to because of that Baby in the manger, the Man of Galilee, the Savior on the Cross of Calvary. As I drove through our small town yesterday the Christmas tree in the town square was flashing to the beat of Christmas music and the whole atmosphere in our normally economically depressed city was transformed to a happier place. The people in our quaint town are wonderful, the politics… not so much, but we’ll not park there. The population of our entire county is roughly 7600, depending upon how many people are out of town Christmas shopping, (I’m kidding). But we are rural America at its finest and sometimes worst. I would venture a guess at the number of those 7600 who attend church as less than 1,000. I actually believe it’s far less than that, but according to an article on churchleaders.com approximately 20% of Americans attend church regularly, which would make Calhoun’s estimate at 1500. I have to wonder what they define as regularly. If by annually, then maybe. Well, that’s not very nice is it? You’ll have to forgive my cynicism, perhaps I should go back to town and check my Christmas spirit, but church attendance is a biggy on my list of Christian do’s and don’ts. It’s like having an unlit Christmas tree. Pointless. I’ve heard most every argument on why you don’t have to go to church to be a Christian, and while that’s true, because there are many who absolutely cannot get to church and they are indeed children of God; my argument is if you can go and don’t you’re the unlit tree. Reason 1 – The church is full of judgmental people. Are there judgmental people in every church? Probably! And let me give you my theory on why. If they’re in a church that’s preaching the gospel of Christ as it should be preached, that preacher stands before them as the brightest Christmas tree in the building and what that does is illuminate wrong living. So rather than dealing with their own err it’s easier to point out someone else’s making their own sin seem less in their eyes. Go anyway. You’re either in the wrong the church, or you’re there with the wrong attitude. Go anyway. The church is not for your entertainment, it’s for your edification. If you don’t like the menu in a restaurant, you find a new place to eat, you don’t starve to death! Amen? Scratch off denominationalism here. When searching for the right church for you, regardless of what name brand it is, one thing better be there “A welcome sign.” A church is your Father’s house; and if you’re not made to feel welcome, there’s a good chance you’re not home. The bible under no uncertain terms says that homosexuality is a sin. It also says that lying, coveting, stealing, idol worship, disrespect and adultery is a sin. And there are those in every church in America. Find a church that loves people, let God deliver the message. If you truly want a relationship with the Creator, you need to position yourself in a place where His message is delivered, and that’s church, and that’s Bible. Go anyway. I don’t either. I like structured freedom for the Holy Spirit. Huh? Let’s face reality, there has to be some sort of organization else there’s chaos. Someone has to be in charge. So, you find the right Pastor and follow him, and then let the Holy Spirit lead. If he’s a God lead Pastor there will be freedom to worship in that place and the experience will be awesome! Go! Truth. And you’ll be one too. There isn’t anyone I know that lives a life like Christ, therefore we all are hypocrites. When we call ourselves Christians, by definition we are saying we live like Christ. No, we don’t, but we do the best we can and love each other regardless. Go anyway. Not true. But it does take money to operate a church. You have to look at it from the survival aspect: you buy food because you need it to survive, you pay for a car because it transports you from one place to another, you buy clothing because it covers you and keeps you warm, you buy things you like because they bring you pleasure. That’s what church does, only in a way that lasts an eternity. Yes. But church attendance isn’t about religion, it’s about relationship. In the very core of our being is a desire to have a relationship with the Creator and family. Church provides you both. And even if your family is dysfunctional, messed up or nonexistent, God will fill the voids in your life through His people in His place. That’s church. Go anyway. I so laughed when I read that, because it’s so true, until you get saved. I used to think that people who went to church every Sunday, and prayed at the altar and talked about God were just people without anything else to do, and then I became one of them. I then realized I had been missing out on the greatest experience in life – Non circumstantial living. Regardless of circumstance, God is good, I am loved, and He understands. Refer to reason 6 and Commandment 9 of the big 10. You lie. In the words of my former Pastor, “You do what you want to do.” If you want a relationship with God you’ll make the time. And then a funny thing happens, you’ll discover you had far more time than imagined because God will open up doors for you to fellowship with Him that you could never have imagined. If the light of Christ is not shining in you and through you, your tree’s not lit. It was a conversation with my teens last night that really got my heart stirred for the Christmas season. I’ve been through a lot of other “seasons” in life. The season of discouragement, the season of failure, the season of disappointment, the season of doubt… some, if not all have been annual seasons just like winter, cold and harsh. They’re most always inward battles that few people (if any) know I’m going through at the time, I just plod through like a chick in the snow; wrapped in layers of colorful fabric that detracts from the ugly thin layers beneath that are so easily torn with words. Wow, that’s a very deep thought that could leave you thinking… I don’t really want to go down this road, it seems like a sad trip. Take heart, remember I said that it stirred my heart for Christmas! The reality of life is, everyone I know goes through similar battles and each deal with them in different ways. I personally don’t play well with others; meaning that I don’t share inward turmoil. Partly because I truly don’t want to “share” it with someone else and create sadness in them, and partly because not everyone is an encourager. As a matter of fact some of the people I’ve been stupid enough to share with have beat me with my own stick. Truth. See, I have set before thee this day life and good, and death and evil; In that I command thee this day to love the Lord thy God, to walk in his ways, and to keep his commandments and his statutes and his judgments, that thou mayest live and multiply: and the Lord thy God shall bless thee in the land whither thou goest to possess it. But if thine heart turn away, so that thou wilt not hear, but shalt be drawn away, and worship other gods, and serve them; I denounce unto you this day, that ye shall surely perish, and that ye shall not prolong your days upon the land, whither thou passest over Jordan to go to possess it. It’s not your typical Christmas story by any stretch of the imagination but Christmas is written all over it. In red. Prior to the birth of Jesus Christ our Lord, God gave us two choices. Life or death made possible by right or wrong. A wrong choice could lead to death without any hope of a second chance. Sin was serious business. It still is, but the price that was paid to cover it was so high a price God didn’t refuse it. If His Son was willing to die for it (us), God was willing to accept it. And in so doing the gift we were given that first Christmas night was the gift of opportunity. An opportunity to right every wrong through a relationship with God that hadn’t been known since the Garden of Eden. Adam and Eve walked with God and then sin separated them from His goodness, but because of the final sacrifice that Christ made, we too can walk with God and overcome those seasons of our life that once would have destroyed us. The ultimate Christmas story is why that Baby came, not how He came. He came to save and restore what was broken. Me. My Savior. Who came to earth as sweet, innocent babe, and died as innocent as He was born, for nasty, dirty me, and you. No matter the season, He walks with me. How awesome is that!